R&B singer who achieved popularity in the 50's with singles like "Unchained Melody". In 2010, he was inducted into the Georgia Music Hall of Fame. He was a Golden Glove-winning boxer. His 1955 classic "Unchained Melody" has been covered many times, becoming the first song ever to have sold one million copies by three different musicians in the United Kingdom. 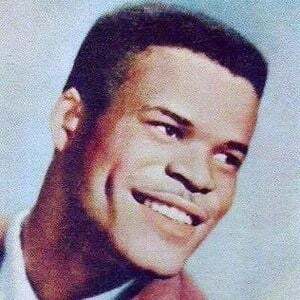 He had sons named Ray Hamilton and Roy Hamilton Jr..
His hit single "You'll Never Walk Alone" was covered by Alicia Keys as part of the Hurricane Katrina relief effort in 2005.